GERMANTOWN, Md., Aug. 25, 2016 /PRNewswire/ -- Mantaro, a leading developer of mobile telepresence products, announced today the launch of their new addition to the MantaroBot TelePresence Robot lineup, the MantaroBot TeleTrak™. With the introduction of a tracked based drive system, the user can drive the TeleTrak to monitor projects in rugged terrain and dynamic environments remotely, locations they could never do so before. The TeleTrak opens up the world of mobile telepresence to the industrial, manufacturing, and construction environments as users can can now remotely traverse uneven terrain, steps, and obstacles as high as 4" tall. Watch a short video of the TeleTrak telepresence robot. "Mantaro is continuing to pioneer new approaches to mobile telepresence," said Mantaro's Director, Kamal Kapadia. 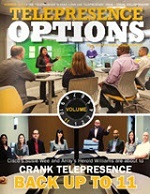 "The use of mobile telepresence is no longer confined to just flat environments like the office or classroom. Construction and manufacturing superintendents, project managers and engineers can obtain the ground truth of any situation by interacting with people and direct observation without actually going there. The TeleTrak brings telepresence to customers in Industrial Manufacturing, Hydroponics, Construction, and Security sectors allowing their remote employees to quickly resolve 'on site' issues." The TeleTrak uses an articulated three-sectioned tracked platform that allows the mobile telepresence robot to easily traverse rough terrain and drive over obstacles. Each section articulates while climbing over obstacles to keep its stability with ease. A shock mounted suspension system helps to isolate track motion from the robots head and arm minimizing vibration. The TeleTrak includes front and rear cliff detection sensors underneath that will auto-stop the drive system when a cliff is detected. For use in unlit or low-light environments, the TeleTrak is equipped with powerful LED headlights on the base and on the head. Additionally, the TeleTrak is equipped with three cameras (head, inspection/arm, base) allowing the remote user to get a full view of the environment. Both the head camera and arm camera pan and tilt to see around the TeleTrak while the front facing base camera includes a wide angle lens for ease of use while driving. There are several options for controlling the MantaroBot TeleTrak. A gamepad style dual joystick controller, can independently control the dual tracks, move the arm and control other capabilities of the robot. Other control options are also available including mouse, keyboard or mobile device depending on the user's preference. For more information about the TeleTrak's many features, to discuss how the TeleTrak can be customized for your application or about the development of a fully custom robotic solution please visit the MantaroBot website at www.mantarobot.com. Mantaro, founded in 2001, announced its first Telepresence robot, the MantaroBot, in December of 2010. Mantaro develops Telepresence robots, custom robotic solutions and provides a range of services and products from their Germantown, Maryland location. Services include hardware, software and mechanical engineering design services for high technology companies. Mantaro serves a variety of industries including Consumer, Government, Industrial, Medical, Telecommunications, Test & Measurement, and Transportation. GERMANTOWN, Md., Aug. 25, 2016 /PRNewswire/ -- Mantaro, a leading developer of mobile telepresence products, announced today the launch of their new addition to the MantaroBot TelePresence Robot lineup, the MantaroBot TeleTrak™. With the introduction of a tracked based drive system, the user can drive the TeleTrak to monitor projects in rugged terrain and dynamic environments remotely, locations they could never do so before. The TeleTrak opens up the world of mobile telepresence to the industrial, manufacturing, and construction environments as users can can now remotely traverse uneven terrain, steps, and obstacles as high as 4\" tall. Watch a short video of the TeleTrak telepresence robot. \"Mantaro is continuing to pioneer new approaches to mobile telepresence,\" said Mantaro's Director, Kamal Kapadia. 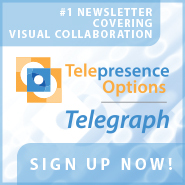 \"The use of mobile telepresence is no longer confined to just flat environments like the office or classroom. Construction and manufacturing superintendents, project managers and engineers can obtain the ground truth of any situation by interacting with people and direct observation without actually going there. The TeleTrak brings telepresence to customers in Industrial Manufacturing, Hydroponics, Construction, and Security sectors allowing their remote employees to quickly resolve 'on site' issues.\"